These 15 yard samples are a fun and economical way to sample Tosh Vintage without investing in full skeins! Use them for colorwork projects, small toys, or simply to find the perfect color for that sweater you've been dying to make! 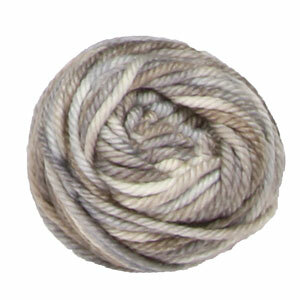 Tosh Vintage is 100% superwash merino wool. Working up at a versatile worsted gauge this yarn is perfect for hard-wearing sweater and accessory projects. Each squishy soft skein is hand-dyed in small dye lots and machine washable! Madelinetosh Tosh Vintage Yarn is a similar yarn: merino wool, machine wash, worsted (19-20 sts/4 in), 100% superwash merino wool, and on size 7-9 US needles. You may also like Mrs. Crosby Steamer Trunk Yarn, which is another similar yarn: merino wool, machine wash, worsted (19-20 sts/4 in), 4.5-5 sts / inch, and 100% superwash merino wool. You may enjoy taking a look at the , and Madelinetosh Tosh DK Looking Ahead Hat kits all using Madelinetosh Tosh Vintage Samples Yarn. Hopefully our suggested project ideas for Madelinetosh Tosh Vintage Samples Yarn can help you come up with your next exciting new project idea!